Visit your dental hygienist twice a year for a routine teeth cleaning. This may have been scripted banter between the two characters, but it is not too far from the truth! Studies have shown that poor oral hygiene is linked to heart disease, diabetes, oral problems during pregnancy, and erectile dysfunction. The most apparent manifestation of poor oral hygiene is gingivitis (inflammation of the gum) and periodontitis (inflammation affecting the tissues that support the teeth). Periodontitis can even cause you to lose your adult teeth. Nope! A University of Florida study revealed the presence of live periodontal bacteria in human atherosclerotic tissue, which means, there is a strong association between development of blockages in the arteries and gum disease. As you can see, dental hygiene isn’t to be taken lightly. Thankfully, there are specialized professionals dedicated to preventive oral health – your friendly neighborhood Dental Hygienist! 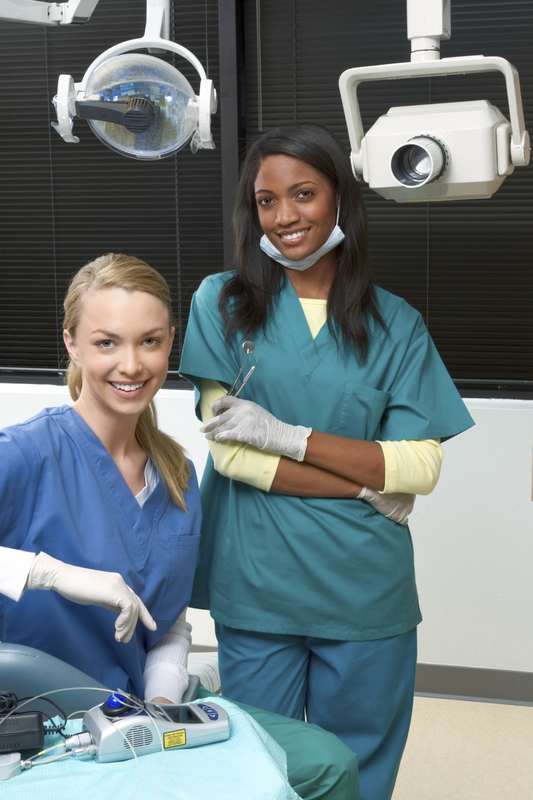 So, what do Dental Hygienists do? They Assess, Prevent and Educate. •	Overall health: Poor oral health is generally a strong predictor of underlying diseases like diabetes, leukemia, oral cancers, Lou Gehrig’s disease, etc. This means an overall review of a person’s health history before initiating any dental treatment. •	Dental condition: dental charting, interpretation of dental radiographs (x-rays) and oral cancer screenings fall under their purview. •	Clean your teeth by removing plaque and tartar which can cause tooth decay, gingivitis and periodontitis. Removing plaque and tartar at least twice a year helps prevent gum disease. •	Apply sealants and fluorides: these help protect your teeth and increase the enamel’s resistance to decay from acids caused by bacteria responsible for dental plaque. •	Oral hygiene techniques: most gum diseases can be prevented by simple everyday hygiene. Brush, floss, rinse. •	Plaque prevention: bacteria colonizing in your mouth. Put bluntly this is essentially what plaque is – bacteria. You need a good dental habits to keep the bacteria at bay. •	Nutrition: Scurvy on sea (caused by Vitamin C deficiency) is the perfect example to remind you how important nutrition is to your oral health. Your hygienist can suggest teeth healthy food choices. Dental Hygienists sure do a lot to keep your oral health up to par, so what don’t they do? Diagnose, Prescribe and Operate. Dental Hygienists are not licensed to write out prescriptions and perform intensive surgical procedures. So now that you know how important a dental hygienist is to your oral and overall health, you must agree that its time you paid him or her a visit. Dental Hygienists play a very important role in one’s life for oral health. I think every person should go for a routine dental checkup in every 4 or 5 months to keep themselves healthy. I want to have a nice looking smile and a healthy mouth. It is good to know that I need to make sure that I am going to the dentist twice a year. Also, it might be smart for me to go see a cosmetic dentist as well.